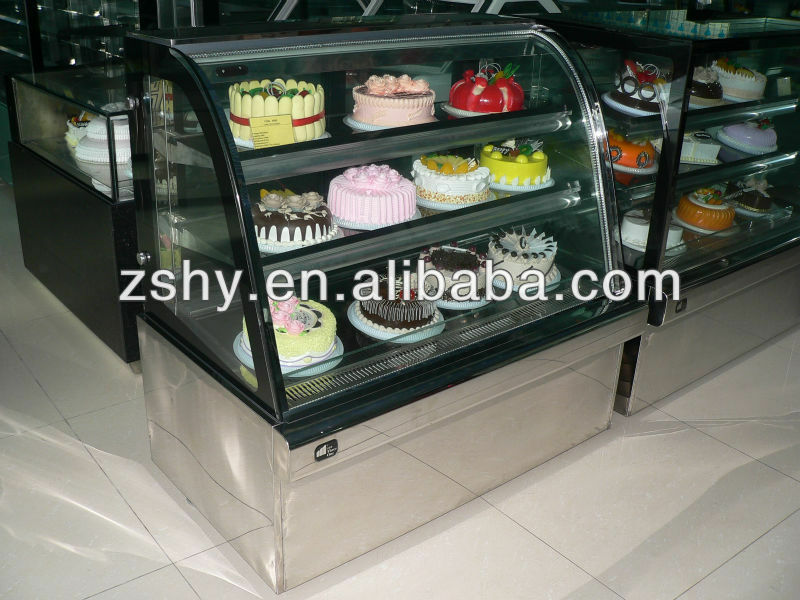 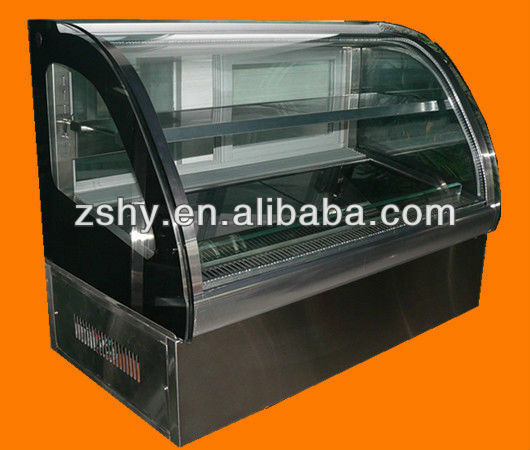 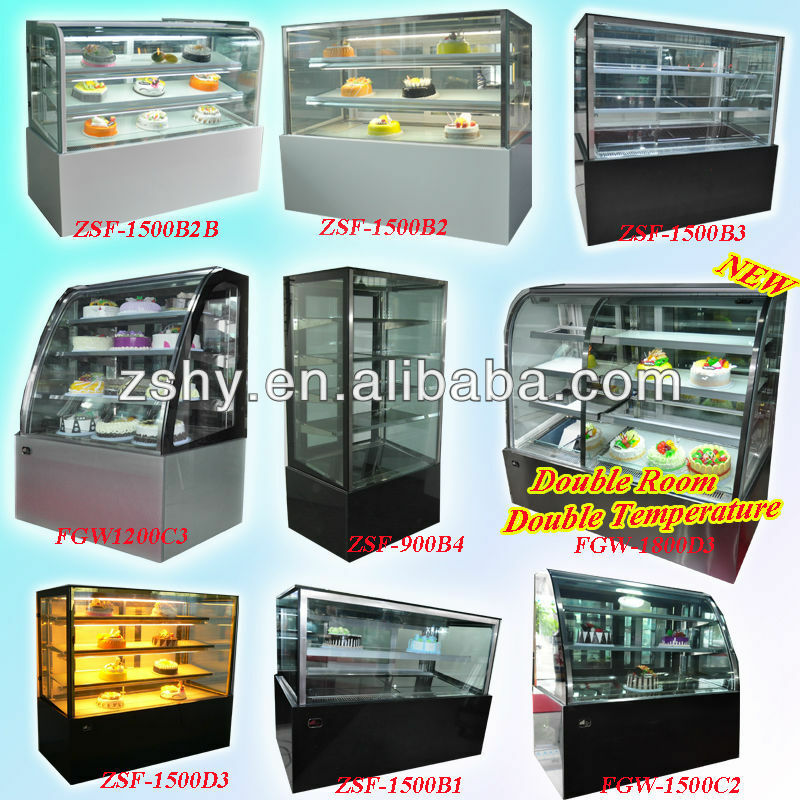 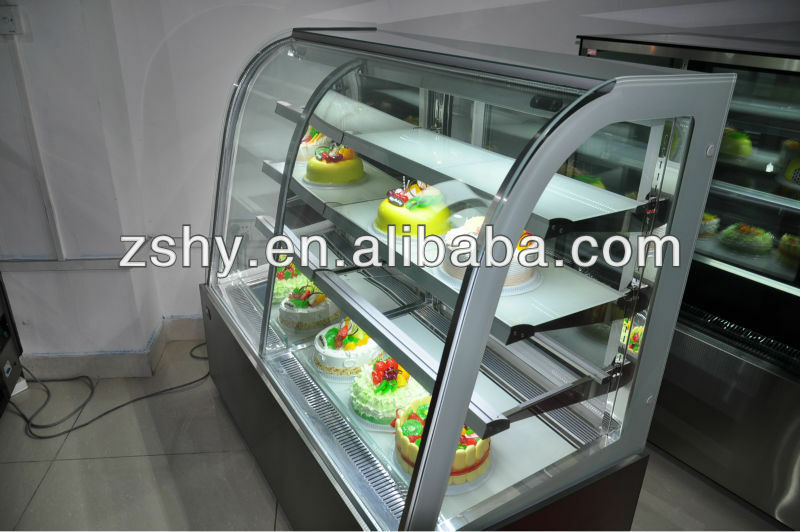 (1)new design,the length can be 900mm~2500mm,temperature +2~+8 degree.In supermarket and bakery,you can combine several units to make a range to display cakes. 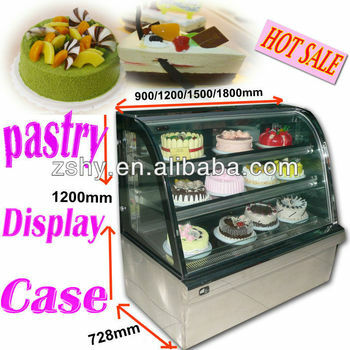 (2)curve vacuum glass with heater, automatic defrost,never sweat on the glass. 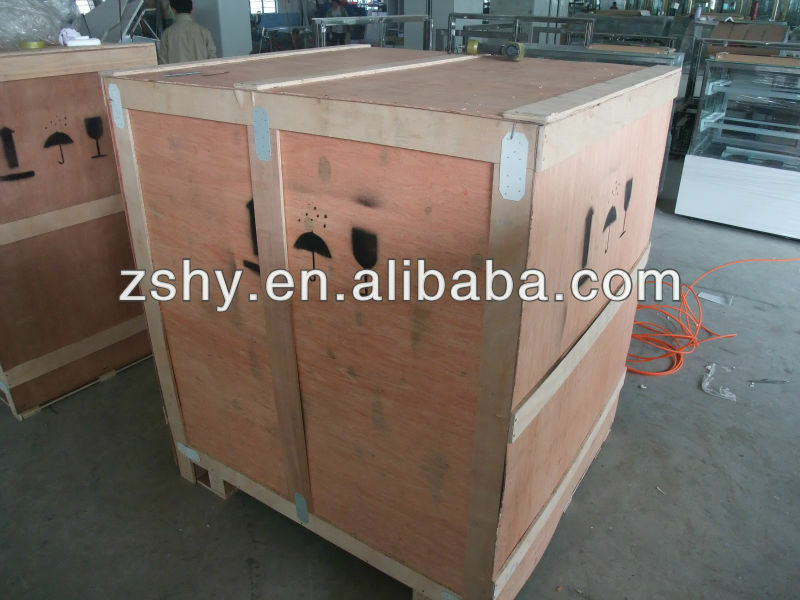 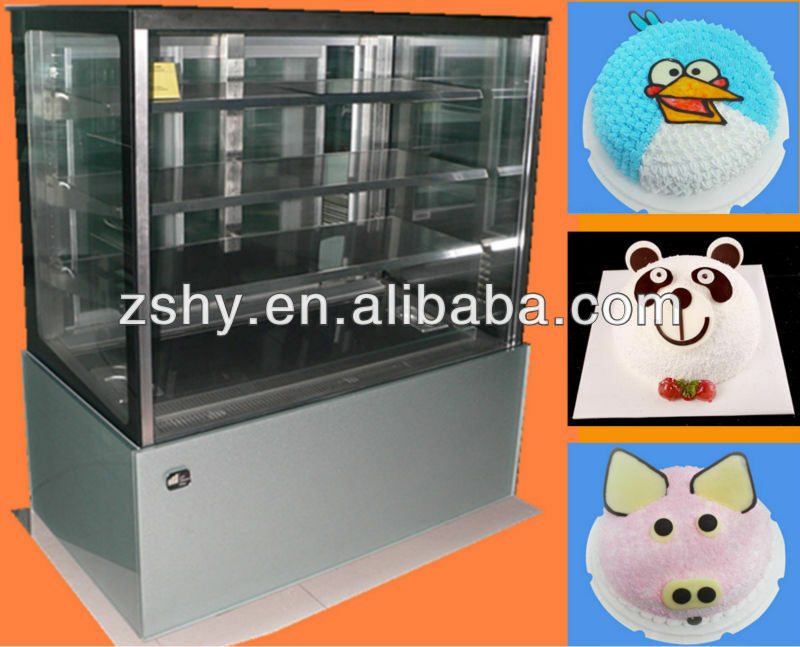 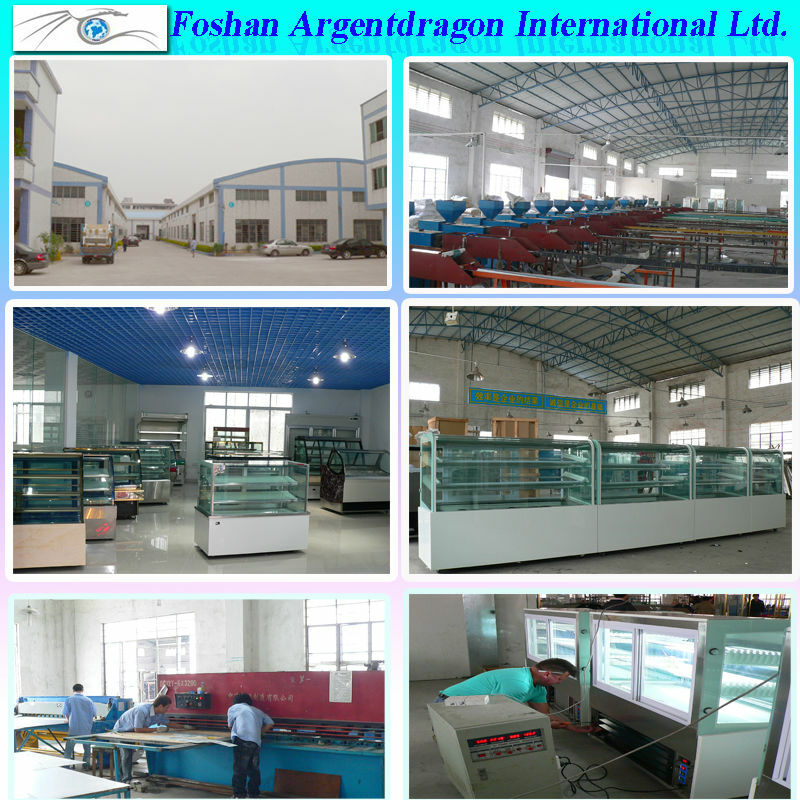 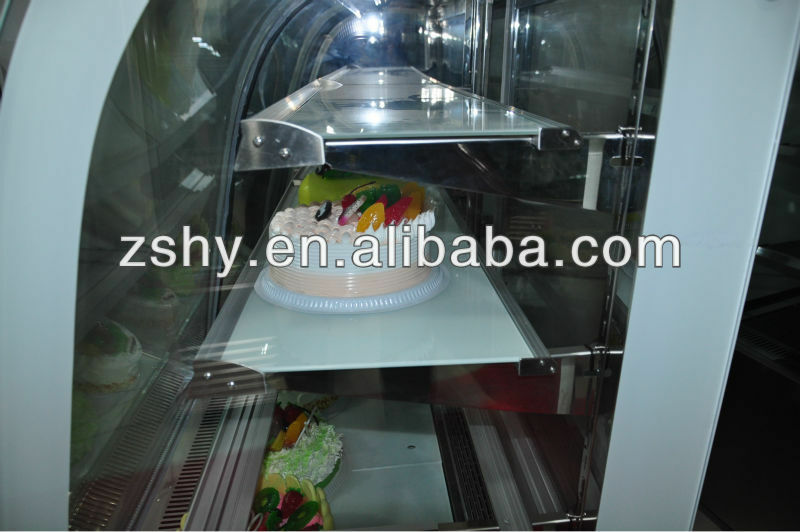 (3)three layers to display cake,bigger display space,with light inside,which enable a good viewing for customer to see the cake clearly. 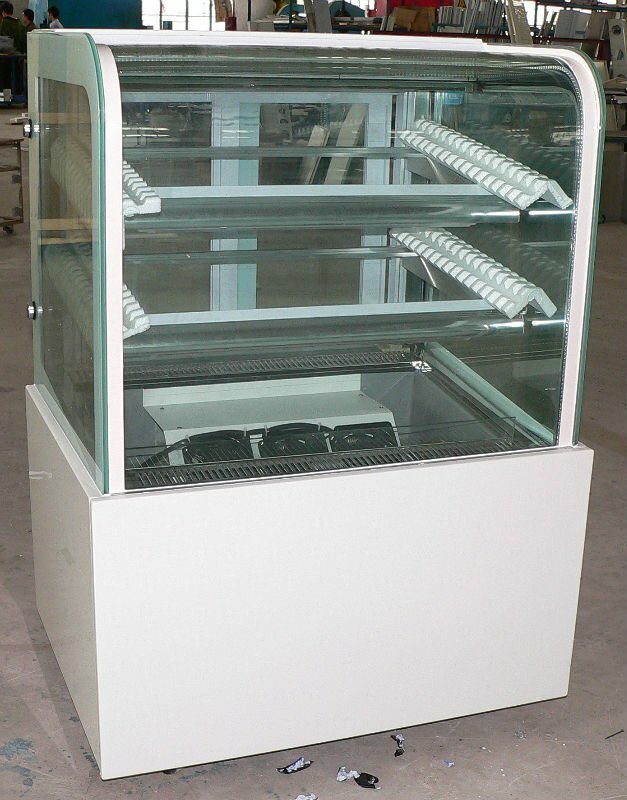 (4)white frame,white side and front marble,luxury.The color can be changed at client's request. 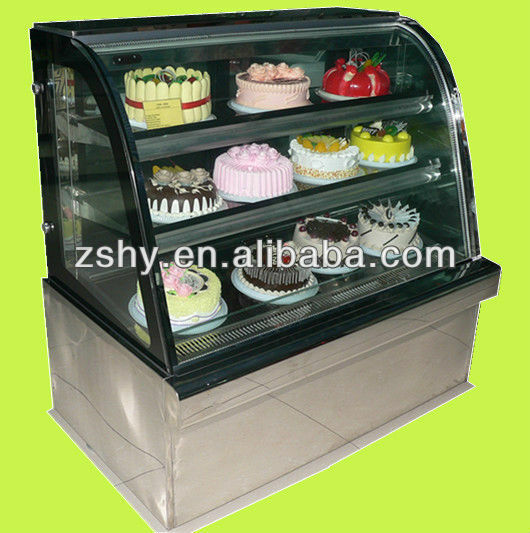 (6)operated on environmentally friendly refrigerant R134a.